In larger towns the traditional buildings are townhouses with maybe a courtyard or a roof terrace and low rise apartments with shops and bars at ground floor level with squares at regular intervals throughout the town for safe social areas. My parents’ last home in Spain was in the centre of Moraira town, a fourth floor apartment. The front terrace overlooked the street and the back terrace looked down onto the square, almost enclosed by other apartment blocks. One side of the square had seating and trees, the other side a children’s play area. In the mornings the main users were older folk sitting chatting in the shade of the trees. Late afternoon the square was very noisy with happy children of all ages playing on the equipment, ball games or bike riding and mothers huddled in (loud!) conversation. This was repeated in several locations around the town. The Spanish like to socialise! In the evening it would be quieter again, people strolling through on their way home from work or with shopping, or maybe heading off to meet friends outside a restaurant or watch a football match in a local bar. 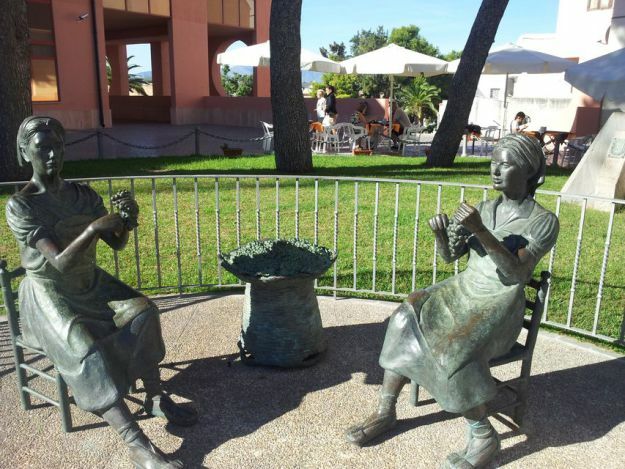 The weather in the south coastal areas of Spain means it is comfortable to be outside all year round, and it seems no-one expects children to be quiet! 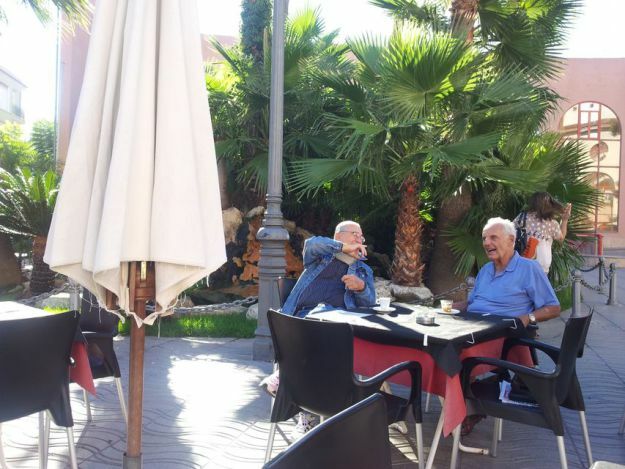 You see multi-generation families in the squares together, eating, drinking or just chatting, in a way I have rarely witnessed in the UK but have seen in other Mediterranean countries. In summer the children will stay up very late as it is too hot to sleep, a practice often criticised by the British holiday makers, but the children will have had their siesta earlier in the day so don’t need early nights. The holiday makers had a great time, they were a lovely family, but they hadn’t shown respect for the house. All the crockery and cooking utensils had to be re-washed as they didn’t look or feel very clean and the usual 4 hour clean had taken 2 people well over 8 hours. The result was that as she bagged up rubbish – sweet wrappers, hair ties, tissues etc in the bedroom the jewellery item had just got swept up with everything else. As it had been left lying around with rubbish it had been assumed it was just item of discarded dress jewellery no longer wanted. Had the guests have cleared away their own rubbish (as they should) it would have been a different matter – one item left behind on the dressing table or even found under the bed, would have been noticed and put to one side while emails were sent and postage arranged. Fortunately the situation was resolved. But I felt, rightly or wrongly, that I couldn’t be honest to the guest and say the reason it had happened was due to the level of rubbish left lying about and general unhygienic, dirty state of the house. How do you tell someone that? Description: This very impressive front line golf 3 bedroom, 2 bathroom detached villa is situated in a very sought after location, overlooking the 2nd hole of the famous Villamartin golf course. The very popular Plaza with its great selection of restaurants, shops and bars is just a few minutes' walk away. The development comprises of only 18 villas, which share the stunning communal pool and gardens.